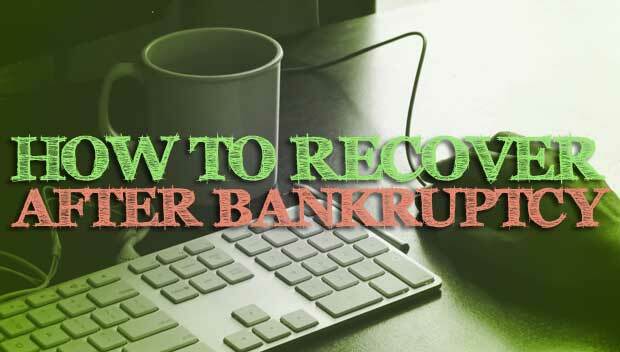 For the most part, bankruptcy should be the action of last resort when it comes to your money issues. However, there are times when bankruptcy really is the last option you have left. If you have experienced a long-term employment problem, or if you have had a medical problem that causes you financial distress, bankruptcy might be your last option. The first step to rebuilding after bankruptcy is making sure that all of your debts are included in the settlement. Everything included in the bankruptcy is covered under a single umbrella, and you want to make sure that all of the eligible debts are included in that. Whether you are filing Chapter 7 or Chapter 13, you want to make sure that everything is covered in the settlement so that it makes it easier to rebuild. You might also need to revisit your credit report regularly to make sure that the included debts aren't listed separately. In some cases, the debts covered in the settlement are listed out separately in the credit report, and that shouldn't be the case. Check occasionally to make sure that these debts remain under the umbrella. Your next step is to make sure that you have reformed your financial habits. Bankruptcy is a symptom of the problem, not the problem itself. Re-order your finances so that you aren't living beyond your means. You should also work toward building up an emergency fund so that you can better handle financial setbacks. Changing your financial habits so that you no longer engage in the behaviors and oversights that led to your bankruptcy can help you rebuild your situation and possibly avoid another financial catastrophe. Once you have changed your money habits, you can start using credit carefully in order to help you rebuild your credit score. Start out by getting a secured credit card so that you can start re-establishing your financial reputation. You should be careful only to spend money that you already have. Even after you have had a secured credit card long enough to begin rebuilding your credit score, you need to be careful. Once you get another unsecured credit card, you need to be especially careful in ensuring that you only use your credit card for purchases that you have money saved up for. It's best not to carry a balance, but if you do, try not to spend more than 30 percent of your available credit. With the right approach, you can rebuild your credit after bankruptcy, and even improve your finances. Take the careful approach so that you don't end up back in the same place again. Next Post: Is A Zero Based Budget Right For You?